I am not sure who is still on our blog post list, but it has been a long two and a half years since I wrote anything for our website. Like Barb and I, our dogs have grown older, and faced illnesses, and various senior citizen issues. We are sad to report that we lost Emma and Lily last Winter and Spring. 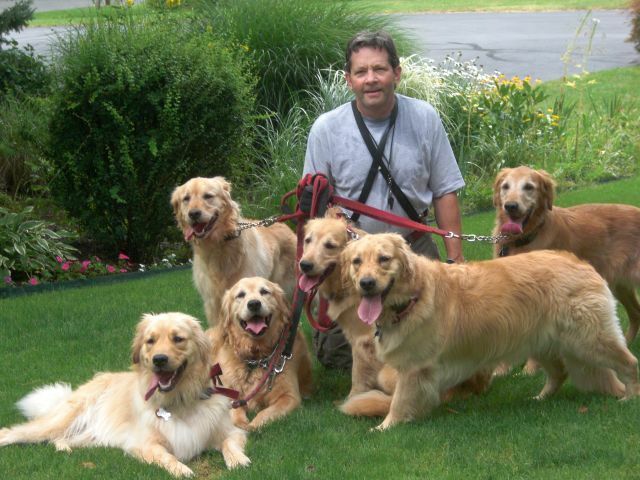 Both had cancers that are common to the golden retriever line. Both had brought years of joy and adventures that can’t be replaced, but they will forever be etched in the memories of ourselves, our children, and our golden friends. Below is a group photo taken in the fall before they fell ill. Emma is on the upper left, and Lily is on the upper right. But it is a new Spring, and with that season comes new life and hope for better times. 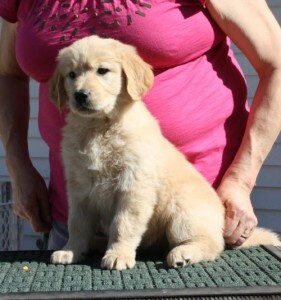 Barbara decided she was ready to try raising another puppy, and we both committed to going through the rigors and uncertainty of getting clearances for breeding. It is ironic that we ended up with Dodi Borsay Horowitz of Mardovar Goldens in North Kingston, RI. Back in 1984 we inquired of her about a breeder in our area. She referred us to Cindy Jones of Golden Joy Kennels, and Peaches came to us as our first Golden retriever. Now in less than one week, we will be picking up a young female puppy from Dodi’s latest litter. The Circle of life took 28 years to return to its beginning. Dodi has four females, and one of them will be ours. I have included the four females below from the photos Dodi posted in Facebook this week. These dogs have an English Golden heritage, and it will be interesting to see how she grows and differs from the lines that we have become used to. These young ladies are all gorgeous, and we thank Dodi for her faith in letting us have one of her pups. 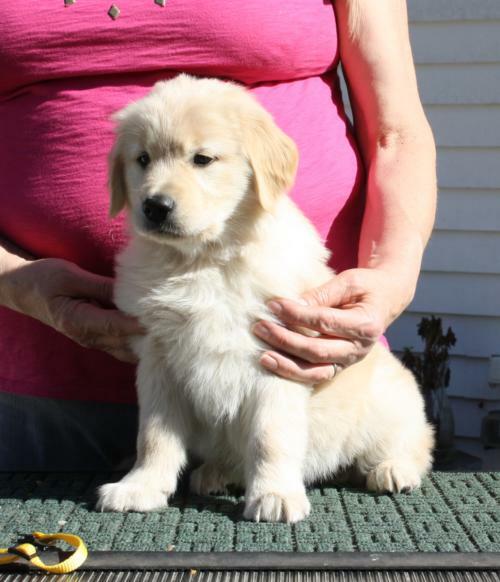 So for any of our prior golden friends who have shared time beside our whelping box, and maybe have taken home a puppy, we are pleased to announce that we are back. We hope mother nature will be kinder to us and our females going forward. And if you have a time frame for a dog that is two plus years out, we may have a four legged friend that wants to share your life. First, what an incredible photo. I love it. 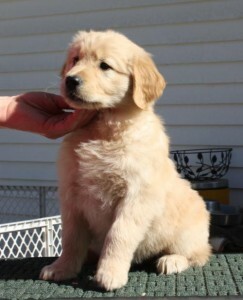 Second, can’t wait to meet the newest girl this week. Third, my whelping/birthing skills/services will be polished and ready to go, fingers crossed, WHEN needed! Loved the story and cant wait for the new arrival !! 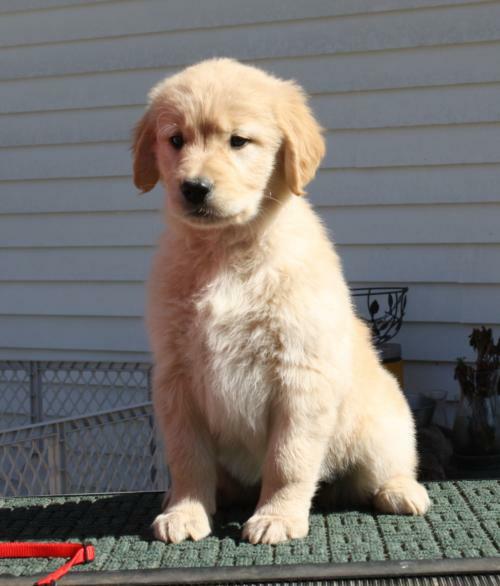 So excited we can see the new pup on Sunday , my girls are really excited too .